The Texas Chainsaw Massacre is a 1974 US horror film by Tobe Hooper. With Marilyn Burns, Edwin Neal and Allen Danziger. The 1975 cinema release was famously banned by the BBFC. Some local councils overrode the BBFC ban and passed it X with a local certificate. The ban continued well into the home video era until unbanned (and released uncut) in 1999. In the US the film was initially rated X, but attained an R rating after cuts. This was the last X certificate granted by the MPAA prior to the introduction of NC-17. The R rated version has been used for all releases worldwide. In the UK, the 1975 cinema release was famously banned by the BBFC. Some local councils overrode the BBFC ban and passed it X with a local certificate. The ban continued well into the home video era until unbanned (and released uncut) in 1999. The Texas Chain Saw Massacre not only changed the face of horror in 1974 but still remains one of the most shocking, powerful and terrifying films ever made. 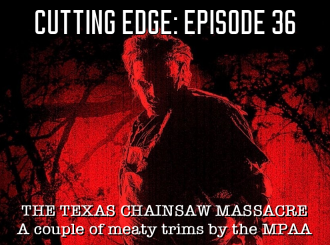 Widely banned on its release it's notoriety has not diminished and this harrowing tale of a depraved Texan clan and its' chain saw wielding icon of horror Leatherface continues to stun and disturb audiences like no other film. This new director supervised restoration brings new life and detail to the film and immerses the viewer as never before. The Texas Chain Saw Massacre is a 1974 US horror film by Tobe Hooper. The Texas Chainsaw Massacre is undoubtedly one of the scariest films ever made and its raw power remains undiminished to this very day. Tobe Hooper somehow created a genuine fright machine which changed the face of the horror genre completely. The story revolves around a group of teenagers being chased, terrified and murdered when they stumble upon a canabilistic family in the countryside. 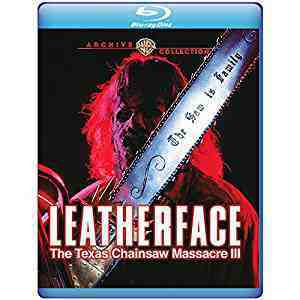 The main character, Leatherface, who's remorseless killings were loosely based on real life 1950's Texan murderer Ed Gein. 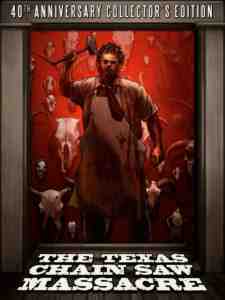 The Texas Chainsaw Massacre is a classic of its generation and deserves to be part of any respectable film collection. Just don't watch it alone. It was given a late night screening at the 1998 London Film Festival and then ran successfully in Camden at the beginning of 1999. At around this time, the BBFC was once again asked to consider cuts for a legitimate video release but failed to see how an acceptable version could be produced. The film therefore fell into limbo and was removed from the shelves following the introduction of the Video Recordings Act. Also passed X uncut for showing in Birmingham, Bath, Leeds and Cardiff (after 1 cut). The BBFC ban was enforced in others. In fact it was passed for showing by 9 councils and banned by 19 others. Hooper reportedly hoped that the Motion Picture Association of America (MPAA) would give the complete, uncut release print a PG rating due to its minimal amount of visible gore. Instead, it was originally rated X . After several minutes were cut, it was resubmitted to the MPAA and received an R rating. This was the last X certificate granted by the MPAA prior to the introduction of NC-17. The notoriety of the film may owe a lot to its original rejection by the BBFC in 1975. It was passed for viewing in Europe, the USA, Australia and other countries. It received a GLC licence in the 1970s and was most recently shown in central London in 1998 under a licence from Camden Council. There is, so far as the Board is aware, no evidence that harm has ever arisen as a consequence of viewing the film. For modern young adults, accustomed to the macabre shocks of horror films through the 1980s and 1990s, THE TEXAS CHAIN SAW MASSACRE is unlikely to be particularly challenging. Unlike more recent examples of the genre, violence in THE TEXAS CHAIN SAW MASSACRE is throughout implied rather than explicit. By today's standards, its visual effects may seem relatively unconvincing. Possibly the most notorious feature is the relentless pursuit of the 'Final Girl' throughout the last half hour or so of the film. The heroine in peril is a staple of the cinema since the earliest days. It is nonetheless legitimate to question the unusual emphasis THE TEXAS CHAIN SAW MASSACRE places on the pursuit of a defenceless and screaming female over such an extended period. The Board's conclusion, after careful consideration, was that any possible harm that might arise in terms of the effect upon a modern audience would be more than sufficiently countered by the unrealistic, even absurd, nature of the action itself. It is worth emphasising that there is no explicit sexual element in the film, and relatively little visible violence. Tobe Hooper's seminal horror film was first seen informally by the BBFC's Secretary, Stephen Murphy, on 27 February 1975. Murphy regarded it as a good, well-made film but felt strongly that the level of terrorisation, particularly towards the end of the film, and the film's focus on abnormal psychology was unsuitable for a BBFC X certificate to be issued. The distributor reacted to this advice by making some minor reductions in the final scenes of terrorisation, formally submitting a slightly truncated version on 12 March 1975. Most questions about THE TEXAS CHAINSAW MASSACRE (and sequels) assume that the problem is one of violence or horror. In fact the reason that the film was refused certification was the result of the perceived degree of terrorisation of women and threat to defenceless women. The Board has for many years operated a very strict policy with regard to sexual violence, based on the incidence of this sort of behaviour in real life and the fact that a great deal of research does indicate that this is the one area where media representations do seem to have quite direct effects on attitudes and behaviour. The film was rejected by the Board on film and is most unlikely to be classified on video, where the law demands a stricter test, under amendments to the Video Recording Act 1984 contained in the Criminal Justice & Public Order Act 1994. The Texas Chainsaw Massacre 2 is a 1986 US horror by Tobe Hooper. With Dennis Hopper, Caroline Williams and Jim Siedow. Unofficially banned by the BBFC from 1986 to 2001. Then released 18 uncut. Uncut and MPAA Unrated in the US. Dennis Hopper plays a Texas Ranger, Lefty, who's bent on revenge and wants compensation in blood for the murder of his brother's children (from the original movie). The results all lead up to a terribly disturbing and disgusting slasher flick that you won't forget (even if you want to). What really makes the movie work is Dennis Hopper. He is usually a joy to watch in any movie, and this one is no exception. The sequel is much more disgusting and violent than the original, but isn't really as shocking. Still, it is a pretty enjoyable flick if you're in the right mood and take it for what it is. Lefty Enright (Dennis Hopper) strapping two chainsaws to himself with leather belts just outside the Sawyer family's hideout. He then sees the family's truck arriving and entering the underground cave. A guy (Joe Bob Briggs) descending a staircase to the garage together with two women and talking about splatter movie special effects. After he opens a door, Leatherface barges in and slaughters him (off-screen). An alternate take of the scene where Stretch is hiding in the meat room and Leatherface comes in to butcher L.G. and remove his face. banned UK: The film was unavailable in the UK for 15 years from 1986 - 2001, due to BBFC censorship. The film was submitted to the BBFC by Cannon and the result was 22 minutes of required cuts. The cuts were to the opening sequence with Leatherface and the woman with the chainsaw between her legs. Other cuts to gore were also required. The distributors weren't interested and the submission was dropped without formal publication. The unviable amount of cuts offered has generally been considered as an unofficial BBFC ban. 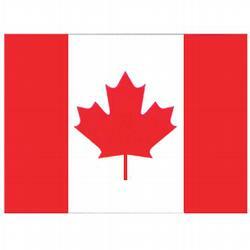 cut There is also a short Canadian version cut by 10 minutes. 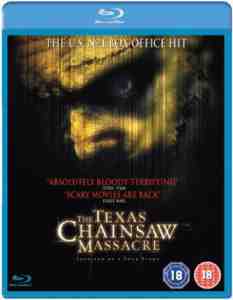 Texas Chainsaw Massacre: The Next Generation is a 1994 USA comedy horror thriller by Kim Henkel. Starring Renée Zellweger, Matthew McConaughey and Robert Jacks. The Texas Chainsaw Massacre is a 2003 USA horror by Marcus Nispel. Starring Jessica Biel, Jonathan Tucker and Andrew Bryniarski. Cut for an MPAA R rating. The resulting version is now the international standard version. The UK Blu-ray was described as the Director's Cut in marketing material but there seems nothing to back up the claim, and it looks likely to be the standard version. The hitchhiker death scene was also cut severely. The original scene has her ear flying off of her head and blood and brain matter being more dark in color and more in amount flying out of her head. the more graphic shots of Morgan's death were cut. The original version of the scene featured the shot of the chainsaw slicing into his crotch and then having intestines and blood falling out of him. The cut version cuts away when the chainsaw is about to cut him and totally cuts out the intestines falling from his body. This cut R Rated Version has been used for all known releases and is the best available. The cut scenes have been released as disk extras. The Texas Chainsaw Massacre: The Beginning is a 2006 US horror by Jonathan Liebesman. With Jordana Brewster, Matt Bomer and Diora Baird. Cut in the US for an R rated theatrical release. There is an uncut Unrated version and both versions are found on home video. No BBFC cuts. Appropriately gory and no-holds barred, Jonathan Liebesman creates a tight, slick and sadistic thriller in the eyes of Chrissie as she endlessly attempts to rescue her friends from a demented madman's clutches. This is a highly worthy and satisfying entry in the horror series that will make an indelible mark on your imagination. A bit more blood when Sloane (Leatherface's mom) is in labor with Leatherface. Two more violent shots of Leatherface smashing his boss's legs with the hammer. Some extra dialog when Sheriff Winston and Hoyt (not the sheriff yet.) Where Sheriff Winston tells Hoyt how one of his friend told him how to finger a horse. At the first dinner table scene, Hoyt talks more about the people in the town leaving and we see Leatherface starting to eat. There's a very short conversation with Holden and Alex into Luda Mea's store after Bailey asks where the bathroom is. There is some more dialog in Sheriff Hoyt's car with Eric, Bailey and Dean in it. When Bailey is tied under the table, Leatherface walks into the room and she starts screaming as he stares at her. Before letting Dean do the push ups, Hoyt yells some more at Dean and now, Dean has to do twenty push ups instead of ten. Eric's torture scene is a bit longer, it includes some more shots of him getting tortured and an shot from his arm skin getting peeled off. The scene where Chrissie first enters the house is extended a bit, when Luda Mea drops the jar, she cleans up the mess and she throws it into the trash can. Holden's death is more graphic, it includes an extra shot of him getting cut in half. Eric's death has more graphic shots including a piece of flesh flying out of his body and the chainsaw coming REALLY close to Chrissie under the table. The scene where Monty's legs are cut off is extended, there is an extra shot of his legs falling to the ground. During Bailey's death scene, there's an extra shot of Hoyt smiling at Leatherface, before he slits her throat. And there's and extra graphic shot of Bailey's slit throat. In the slaughterhouse, When Leatherface looks for Chrissie in the blood pools, we see an extra POV shot of Leatherface looking into a blood pool, without Chrissie in it, and lots of rotten flesh floating around. During Dean's death scene, there's an extra graphic shot above Dean when Leatherface is still running the chainsaw for five more seconds. Chrissie's death scene includes two extra shots, one is the chainsaw cutting up her belly button, and the second shot is him pulling the chainsaw out of her. Texas Chainsaw is a 2013 USA horror thriller by John Luessenhop. With Alexandra Daddario, Tania Raymonde, Scott Eastwood. Cut in the US for an MPAA R rating. Cuts restored for an Unrated version but so far this only available on digital download and in France. The disks include the original English soundtrack. Thanks to Andrew. The Unrated Version was premiered as an exclusive release on digital download from 30th April 2013. See article from dreadcentral.com "
Having seen the unrated version, which clocks in at 92 minutes (incidentally, the same runtime as the theatrical cut), I can tell you that the differences are minimal. We're talking a few frames cut from a couple of the movie's kill scenes, especially the final meat grinder kill. Yep. No biggie here. 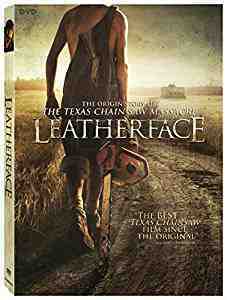 Leatherface is a 2017 USA horror thriller by Alexandre Bustillo and Julien Maury. Uncut and 18 rated in the UK. Uncut and MPAA R rated in the US.